Federal Tax Lien and the Necessary Steps to Eliminate a Tax Lien. A federal tax lien is the legal claim of the Internal Revenue Service (IRS) on your property and assets due to a delinquent tax liability. When you do not pay your taxes, the IRS can file a lien to file a claim against everything you own. A tax lien not only adheres to your current property and assets, but also to everything that may come into your estate in the future. A federal tax lien is a way the government protects its interest in your assets. If you must sell your possession, the IRS is entitled to the proceeds of your sale, up to the amount you are owed. Initially, the IRS sends notifications to the taxpayer about the non-payment of tax, informing why they incurred the debt and steps to pay it. Then, the IRS sends a final notice for payment of back taxes. When a final notice is sent to the defaulting taxpayer the intent to collect and a hearing is established. A federal tax lien is enforced if the taxpayer does not acknowledge the notices. What Does A Tax Lien Mean For A Taxpayer? A federal tax lien on property or assets means that the IRS has a legal claim. If the assets or properties are sold, the IRS has the initial claim over the proceeds. Tax liens can do a lot of personal harm. The IRS files a public document called the Federal tax lien Notice (NFTL) at your local or county courthouse. This document is a public record, accessible to anyone interested in obtaining it. When a tax lien is filed, three credit bureaus are notified so the tax liens will appear on your credit report. Since the inclusion of tax liens on your credit history are obviously considered as negative elements, it presents you as a risky borrower. This tax lien will lead to a significant reduction of your credit score and make it very challenging for you to obtain any type of financing. Increasingly, employers review the credit scores of potential applicants before hiring them. When taxes are paid in full, the IRS will not file a tax lien against the taxpayer. The issuance of a federal tax lien can be prevented by establishing a payment agreement in installments that satisfies the requirements of the IRS to avoid a federal tax lien filing. Also working payment options out with IRS can avoid this lien process. A federal tax lien will not be filed by the IRS if the taxpayer makes an agreement or a simplified installment payment agreement. Installment contract of this form requires that the first-rate stability be at least $10,000 in the case of assured installment agreements or $ 25,000 or less within the case of optimized installment agreements. A tax lien can be eliminated immediately if you pay your tax debt in full. Qualifying for a tax debt relief program can also help eliminate a federal tax lien. 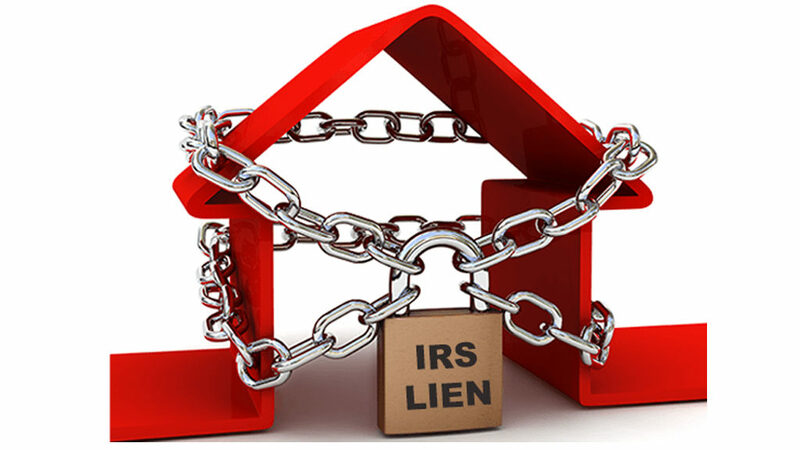 The IRS will remove a tax lien once a taxpayer meets the conditions for payment of back taxes in installments. Tax Liens can be very difficult to eliminate and it is advisable to consult a tax lawyer to resolve the tax debt and try to get the tax lien removed. A federal tax lien can be filed in mistake; you should promptly contact a tax professional. An agent will evaluate your tax payment history to verify that you do not have back taxes and put steps in place to remove the lien. The release of a federal tax lien implies that the lien does not impact your house. Upon release of a lien, county documents shall be up-to-date to mirror that the lien has been removed. Nonetheless, the a federal tax withholding will stay on your credit score report for up to ten years. The liens are released within 30 days of the complete cost of exceptional tax duties or with the aid of establishing an assured or optimized cost agreement. According to the new IRS application, taxpayers are also eligible for the removing or unencumber of liens if their incredible steadiness is less than $ 25,000. Less often, the IRS can issue a lien on federal tax if it accelerates tax collection or if it serves the best interest of government and taxpayers. The IRS automatically releases federal tax liens after the tax payment in full. The IRS usually gives out a copy of a lien release for the updates of credit scores with credit bureaus. The filing of a tax lien negatively affects the taxpayers’ credit. Your credit ranking will doubtless undergo a strain, and you can have difficulties getting new credit score or to refinance existing credit. Taxpayers who need assistance dealing with tax liens and tax collections can contact us for immediate tax debt relief. Our certified tax professionals and tax attorneys can easily remove your federal tax lien and solve all your tax problems. The consultation is FREE!